The Small Unmanned Systems Business Exposition (sUSB Expo) announces open sponsor and speaker opportunities for the 2017 sUSB expo, this year’s expo builds on the last with the addition of an outdoor cage free Demo Field Day. Previous years subject matter has covered, Standards, Robotics, Cinematography, Hardware Systems, Software, Industry analysis. The sUSB Expo is looking for speakers on commercial sUAS technology development, operations and manufacture. The sUSB Exposition “The Silicon Valley Drone Show” has been in operation for 4 years featuring guest speakers and vendors from around the world, many of these speakers you might only have a chance to see engaged in Europe, Asia or Africa or Australia, sUAS News and its partners have pulled together some of the greatest minds in the drone industry year after year leading to new partnerships and profound innovation and business to business exchanges. New speakers gain a foot in the door to the global industry and often after their introductory engagement with The Silicon Valley Drone show are invited to speak around the globe. Similarly sponsors of the sUSB Expo are destined for greater recognition in the market increasing brand awareness and boosting customer confidence. The workshop this year promises to be amazing with a field component and a SAR technology Flight Demo, with 7 hours of instructional material and lengthy Q and A this sUSB Expo workshop is sure to be a hit with Search & Rescue, Fire Departments, First Responders and Incident Command managers. This event is great SAR session for emergency management leaders to add to their calendars. 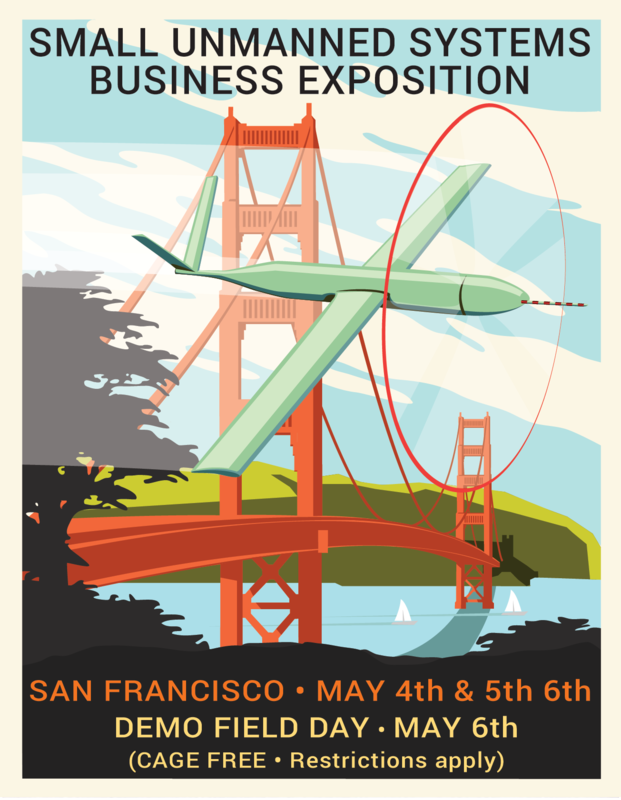 Sponsoring the sUSB Expo could be your way to give back to your local community and help with training more people in the use of life saving Small Unmanned Aircraft Systems. A key feature of the sUSB Exposition is its vendor booths, this provides an opportunity for businesses large and small to engage customers one on one and demo their wares. With the new addition of a Demo Field Day on May 6th vendors of the Exposition will be involved in a world class Silicon Valley Drone Show few can hold a candle to.